Copymat Hollywood specializes in the production of printed materials for professional filmmakers, producers, executives, actors and models. Having served the entertainment and talent industries for 30 years, we have specifically positioned ourselves to respond to your needs and deadlines. We provide fast and professional service. 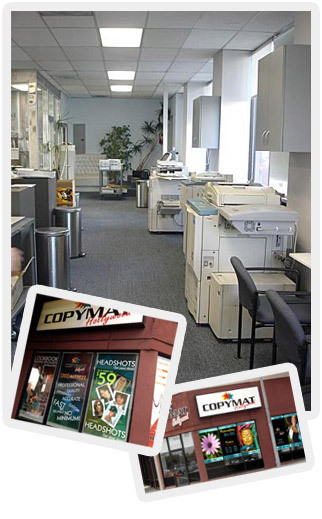 When it comes to state of the art, print on demand and, speedy professional service, Copymat Hollywood excels. Our high performance professional digital production printers allow us to offer superior print quality with the highest resolution. With digital 4 color printing, we design and create out-of-the-box packaging, marketing, custom props and much more.